The second book in the Anthems of Zion series! The people of Zion are at it again. Two of their very own are getting married, and everyone is pleased as punch to be hosting Bradbury’s wedding of the century. Their collective joy is short lived, however, as busted air-conditioners, melting cakes, and a trip to the emergency room intrude upon the celebration. Yet the congregation rallies. Led by Pastor Fletcher and the stalwart Mrs. Scheinberg, they turn in faith to God’s promises of life and salvation to see one another through trying days that demand patience, prayer, and perhaps another batch of cinnamon rolls. Emily Duke, Pastor Fletcher, and the rest of Zion’s quirky flock return in this compelling sequel to House of Living Stones, proving that life in a small town is anything but small. "I could not put it down. Katie Schuermann is definitely on to something, with her continuing tale of everyday Lutherans captured by the Gospel and engaging the world around them. If you grew up in a small town, you have definitely known people like this—real people, with real sorrows, real struggles, and a very real Savior!" 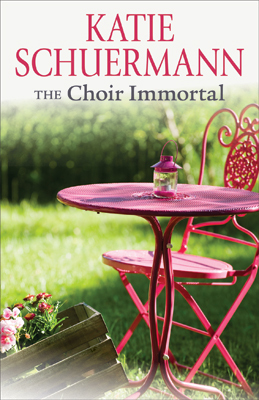 "It’s rare that a sequel outshines its predecessor, but Katie Schuermann has accomplished that with The Choir Immortal. Katie captures life’s complicated mix of sorrow and joy, grief and hope with the same warm narrative and delightful humor she gave us in House of Living Stones. She brings her characters to such life you weep with them in their sorrow, you belly-laugh at their antics, and you share the healing comfort of the sweet promises we have in our Lord Jesus Christ right along with them. Katie invites us to share the ups and downs of life with the people of Zion Lutheran Church, reminding us we are not alone in all we encounter and endure while answering each trial with the sweet Truth of God’s Word, grace and redemption in Christ. A truly edifying delight of a novel." "The Choir Immortal describes the elating heights and sorrowful depths of our experiences in this fallen world with a careful balance of honesty and grace. Drawing from the riches of Lutheran hymnody, Katie Schuermann finds expression for what every congregation and individual Christian has faced. With an unswerving focus on the Gospel of Christ crucified, we’re reminded of the Lord’s promises through every season of grief and joy." 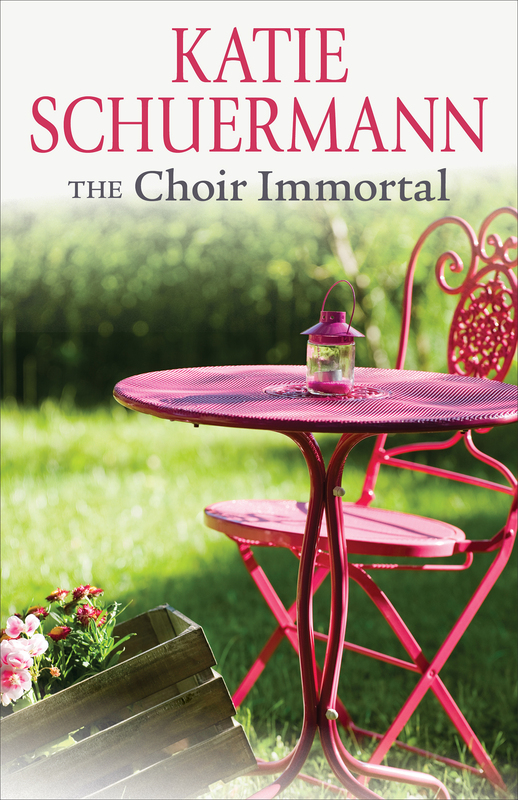 "Retaining the engaging style which captivated House of Living Stones readers, The Choir Immortal positively sings with Mrs. Schuermann’s sweet and distinctly Christian voice. Each page is liberally strewn with gems to discover—delightful turns of phrase, poignant moments, and archly-made insights by characters facing true challenges in an authentic way. Mrs. Schuermann’s vignettes allow the reader to experience the gamut of human emotion: hilarity, awkwardness, heartbreak, catharsis, and more—oftentimes all on the same page. Once you pick it up, you will not want to put it down, and once you finish it you will immediately want to read it again!" "Mrs. Schuermann is fantastic at developing characters which engage your imagination, allowing you to share in the lives of the people of Bradbury. These characters feel real, they experience real-life situations, and they fail in their handling of life issues as do we all. This is not sugar-coated storytelling. Life is represented accurately, both the good and the bad. Humor and faith make this book a complete gem. You will want to buy one for all your friends, it is that good!" "Schuermann once again draws the reader into the heart and soul of Zion Lutheran Church. She captures the raw emotions—both high and low—of each character and then delivers to the reader comfort, joy, and peace through hymnody, the Lord's Words, and her own wit and wisdom. And, if one listens carefully when reading a hymn, one can almost hear Schuermann’s sweet, angelic voice singing the hymn, bidding the reader to join her voice with hers." "You will laugh and cry with the people of Bradbury as Katie Schuermann weaves a story of real life that you won’t be able to put down. In the most beautiful combination of character development, storytelling, Scripture, poetry, and hymnody, Schuermann acknowledges our own great joys and deep sorrows, pointing us again and again to Christ—His gifts of mercy, hope, and true peace for the choir immortal. Schuermann is a gift to the Body of Christ."